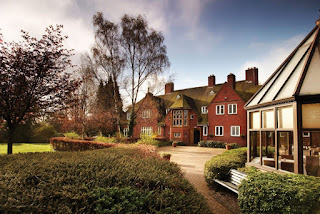 On 15th October the Institute for Mental Health (IMH) had its Inaugural Forum at Hornton Grange at the University of Birmingham. The event was live-tweeted by the Mental Elf and the IMH. The whole project PERFECT team attended the Forum and this report comes from their collective notes. In the morning session, Eoin Killackey (Orygen) and Paul Burstow (IMH) started the day with two fascinating talks on youth mental health. 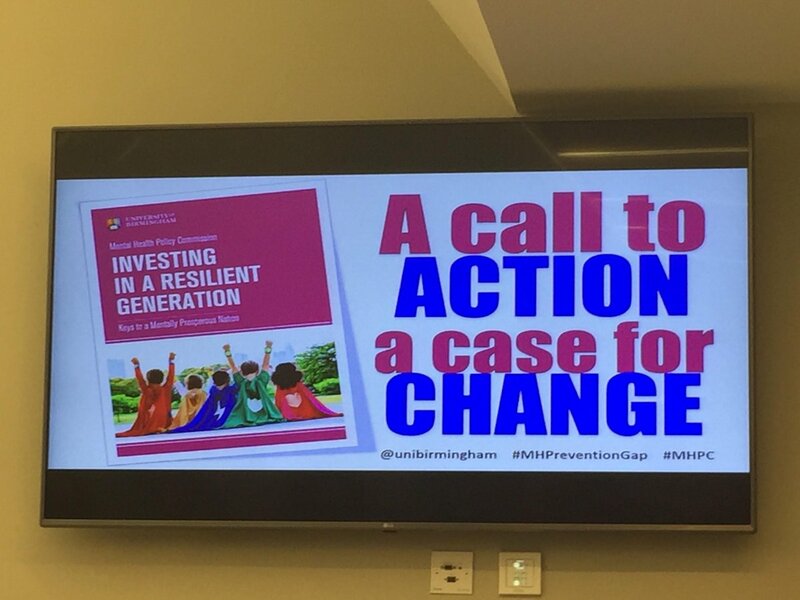 Killackey gave a very international talk, analysing a variety of interventions and forms of support available for young people across the world, reflecting on the many lessons those who wish to improve the UK youth mental health system can learn from these programs. 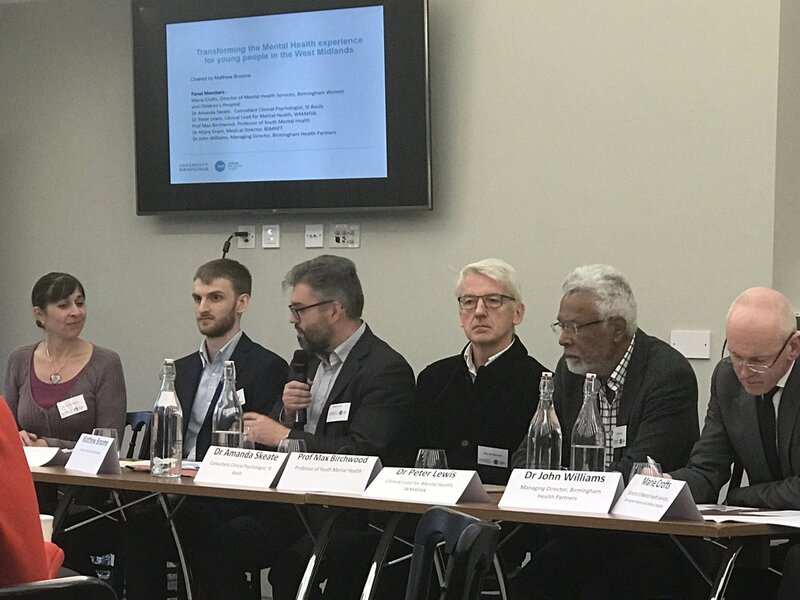 Two particularly interesting focal points were on how to improve the transition from youth to adult services, and how to better separate services on the basis of demographic and developmental evidence about the prevalence and nature of youth mental health difficulties. Burstow spoke of the need not just to increase spending on youth mental health across the UK, but more importantly of the need to reallocate existing funding towards intervening on the causes of mental ill health, rather than simply tackling the consequences. 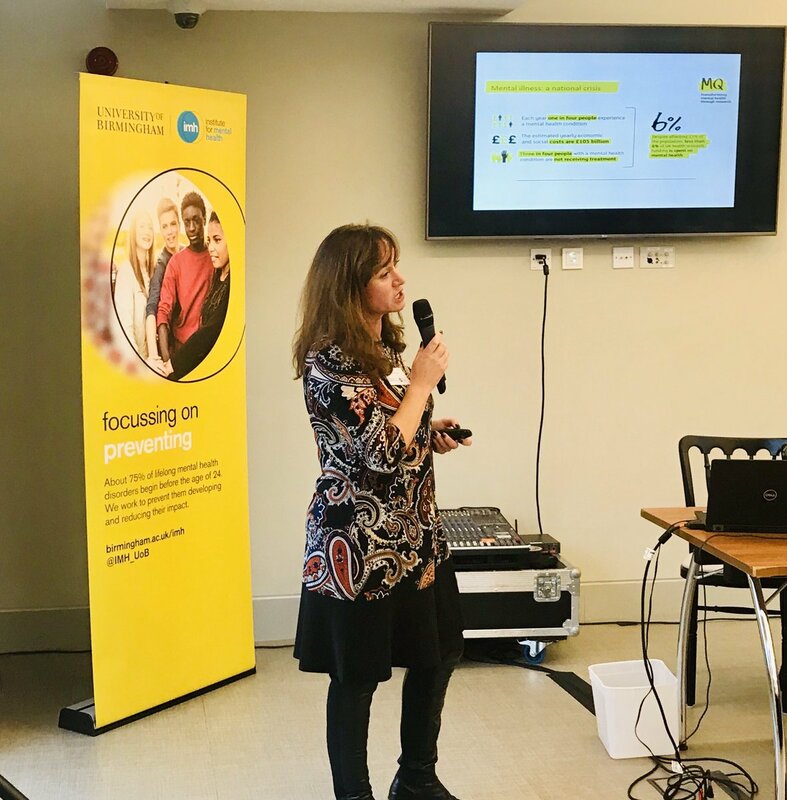 Before the lunch break, Karen Newbigging (IMH) and Sophie Stammers (Project PERFECT) facilitated a very interactive session asking what makes coproduction successful. Participants were divided into groups and asked to share their experiences of coproduction. 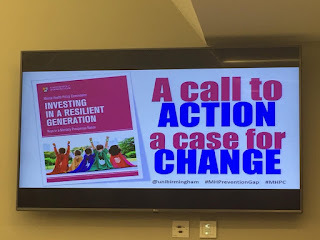 Key themes were the need for (a) managing expectations in coproduction; (b) making young people participating in research aware of the remit and the constraints of the project they are asked to help with; (c) offering something back to people participating in research (e.g. training skills); (d) offering expertise to support good ideas coming from people with lived experience of mental health services. Parallel to this session, Maria Michail (IMH) and Anna Lavis (IMH) facilitated a workshop on how the wide range of disciplines involved in mental health research at the IMH could break out of their own ‘silos’ and work together to better understand and prevent self-harming and suicidal behaviours in youth populations. Participants were divided into groups and worked together to begin to develop ways of overcoming existing personal and structural barriers to interdisciplinary research. In the afternoon, Sophie Dix (Director of MQ) talked about the financial cost of mental illness and the cost in terms of loss of life. There is a lot in the press about raising public awareness of mental health, decreasing stigma, and improving services. But there is very little about making treatment better and research is part of the solution. MQ raises money for research into mental illness. There is great disparity between funding for research for cancer and dementia and funding for research for mental health. And in mental health there is too much ‘trial and error’ and not enough prevention. Further, there is a lack of innovation when it comes to finding the best treatments. No huge progression has been made with psychological treatments either: those we have today were developed in the sixties. MQ is focused on research that is: (1) multidisciplinary, (2) transdiagnostic, (3) international, (4) focused on impact, (5) aimed at investing in the future. 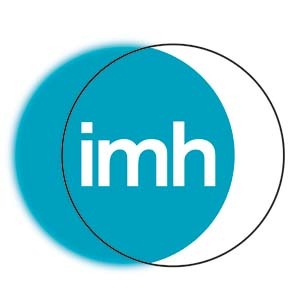 MQ thus applauds the creation of multidisciplinary centres such as the IMH, where scientists from different disciplinary backgrounds work together from the start. 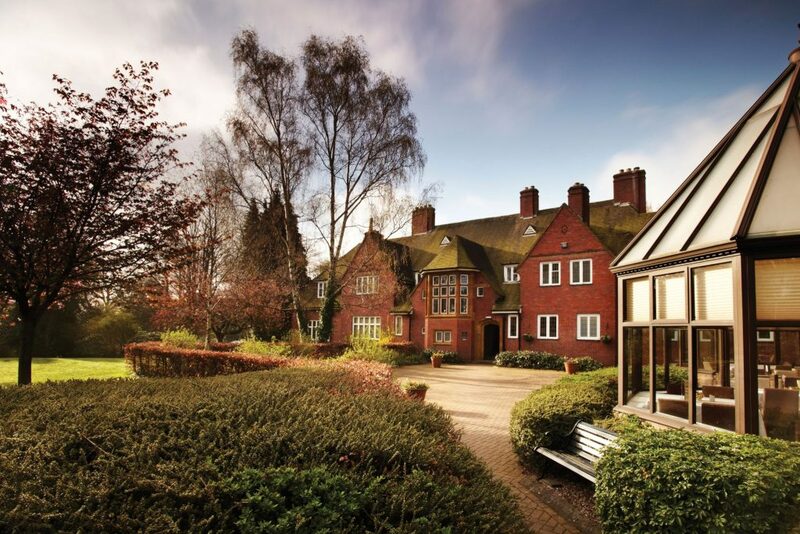 MQ encourages international collaboration and funds the best research, whether it is based in the UK or elsewhere. Examples of the research they fund includes depression in people with HIV in Uganda; whether women are more responsive to psychological treatment for anxiety depending on where they are in their menstrual cycle; effects of folic acid for protecting people against schizophrenia. One big focus is on youth mental health: it takes too long for people to get help since they show the first symptoms of mental illness. MQ created a consortium to address the challenges youth mental health poses and coproduce research ideas by people in the physical and social sciences. MQ used sandpits to attract people who had expertise in public engagement and collaborative projects. The result was people coming up with ideas (developing a screening tool for mental illness, e.g. suicide prevention and risk scores for depression in adolescents). Next, there was a panel on Carer and Lived Experience Perspective. This was most informative and inspirational. Several experts by experience described their contact with mental health services and how the approach was very much like “take these pills and call us if there are problems”. There was no focus on prevention or dialogue in the services they accessed, and this caused worse outcomes over the years. Situations described included anorexia and psychosis and key themes were the importance of listening to young people in a responsive way and taking people seriously when they share knowledge (rather than just nodding or including people with lived experience just as a tick-boxing exercise). One question the panellists were asked is what research should focus on. One panellist mentioned the nature/nurture divide in mental health and the importance of exercise for mental health and exercise in eating disorders. Another panellist is interested in why so many young Black males are diagnosed with schizophrenia, and what cultural and biological factors matter to this fact. She also mentioned that the use of cannabis in mental health as something that needs to be investigated further. A second question the panellists were asked is what changes in policy or practice they would like to change. One panellist mentioned the importance of being supported before the mental health issue makes you suicidal or puts you at serious risk. Another panellist suggested that we should avoid using the police to address mental health crises. All panellists agreed that mental health needs to be talked about more in schools. There needs to be more information and education concerning mental health to give young people the tools to understand themselves and their peers better when crises occur. 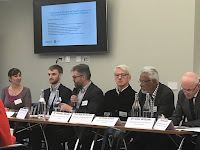 Another panel followed on Transforming the mental health experience for young people in the West Midlands (picture below), chaired by Matthew Broome who is the director of the IMH. Speakers included Amanda Skeate (Consultant Clinical Psychology at St Basils), Peter Lewis (Clinical Lead for Mental Health at WMAHSN), Max Birchwood (Professor of Youth Mental Health), Hilary Grant (Medical Director at BSMHFT), John Williams (Managing Director at Birmingham Health Partners). All panellists stressed the importance of reducing waiting times in getting help with mental health and also emphasised the role of prevention. Most of the session was taken up by the panel addressing questions from the floor. Questions covered how to design better services given the existing budgetary constraints; the need to coordinate efforts better to offer better support; how to work with schools to improve young people’s mental health; and how to persuade donors to give to the cause of mental health by presenting problems in a tractable way.